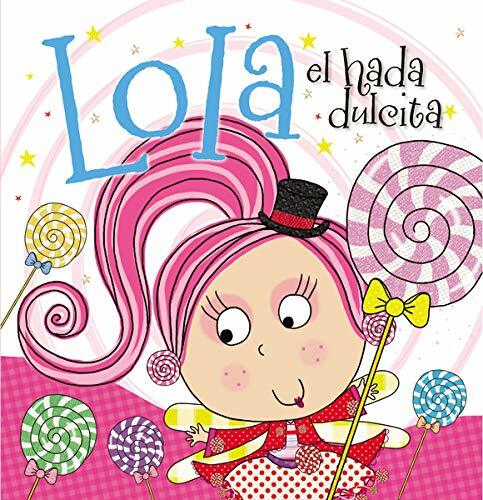 Synopsis: "Lola el hada dulcita" tiene su propio libro para colorear! Lleno de imaginativos contornos para colorear, estos libros para colorear mantendran entretenidos a los pequenos durante horas. Hay incluso una pagina llena de estupendas etiquetas para ninos curiosos.Las etiquetas pueden utilizarse en el libro o en cualquier otro lugar! Bonitos contornos inspiraran a los ninos a ser creativos y mejorar sus habilidades motoras. "Lola the Lollipop Fairy" has her very own colouring book! Bursting with imaginative outlines for children to shade, these colouring books will keep little ones entertained for hours. There is even a page full of great stickers for curious kids.The stickers at the front can be used either in the book or anywhere else! Bold outlines will inspire children to be creative and improve their motor skills.